Instead of keeping a file attached to a message in your mailbox, save the file to your computer, memory stick or network folder and then delete the message. This will reduce your mailbox size. 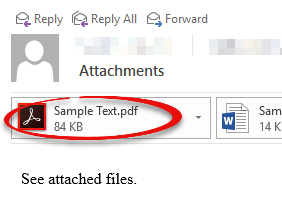 Step 1: Open the message that contains the attachment. Step 2: Double click on the file name to download it. 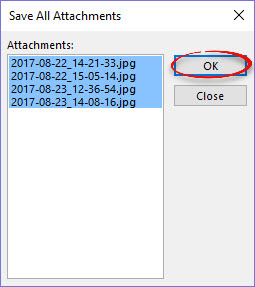 Step 3:Click Save, but only if you trust the file. ITS reminds you to never open any suspicious attachments. 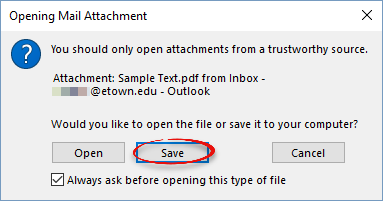 Step 1:With the email that you want to save the attachments selected, click File. Click Save Attachments. Step 2:The Save All Attachments dialog box will appear, which will allow you to modify your choice from all being selected, to one or just some of the files. To select just some of the files, hold down [Ctrl] and click to deselect an attachment if you don't want to save them all. Click OK. Step 3:You will then see a dialog box. 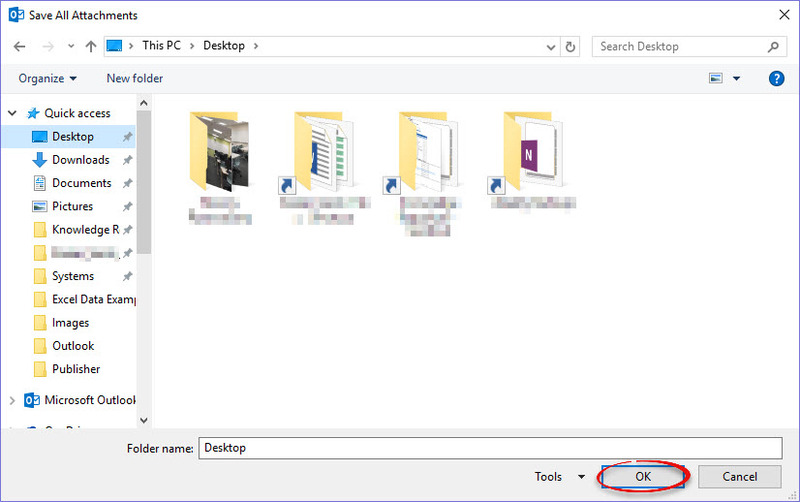 Navigate to the folder where you with to save your files and click OK. 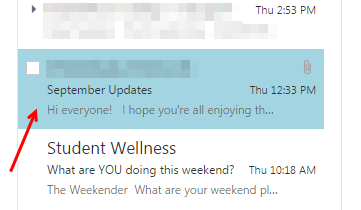 Step 1: Log on to your email using OWA at http://mail.etown.edu/ Step 2: Open the message containing the attachment. Step 3:Download the attachment in various ways. Click the arrow next to the document and select download. Select Download All below the attachments to download multiple attachments at once. Step 4:The download will appear at the bottom of the screen. Click the document to open. 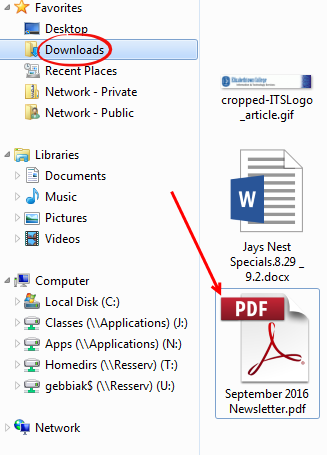 Step 5:Or you can find downloaded documents in your Downloads folder on your computer. Save the document in the desired location. Step 6:Delete the message containing the attachment to save room in your mailbox.